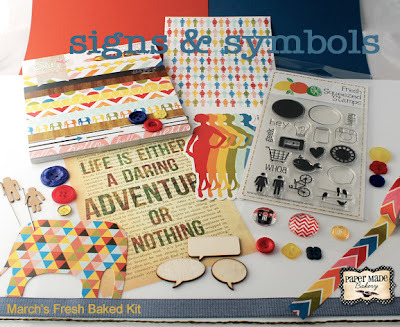 Paper Made Bakery: Follow Your Dreams!!! Its Piali here ! Today I've a fun project for you all!! I made a Journal and a book mark . 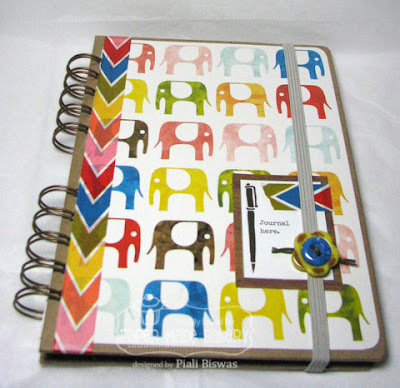 I used papers and embellishments from the March Fresh baked kit to decorate a SEI journal.
" Follow your Dreams" embellishment is perfect for simple bookmark! Used some washi tape and cutout from the paper pad for the pocket inside. You can still buy this month's kit.....go and order your own kit now!! Wow wow wowwwwwwwwwwww! This is AMAZING!! I loveeeeeeeee it!! Piali, your project is fabulous!!! Love this!! Fabulous project Piali.